*It is 16inch x 16inch. 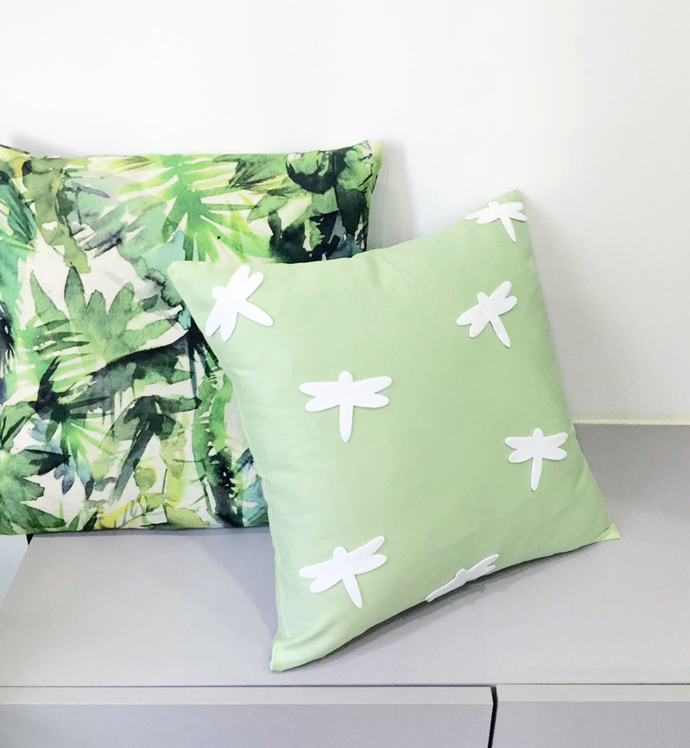 Fabric is comfy 100% Cotton in Pale Green, with invisible zip at the bottom for insert removal. 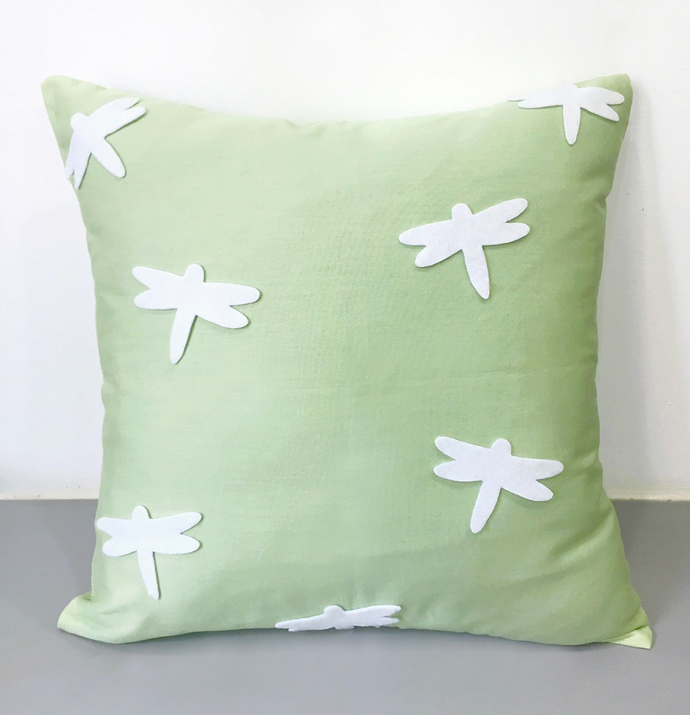 *Dragonflies are hand-cut by me of recycled Felt in mint shade, hand-stitched (Not glued) with love and time on the front panel only. 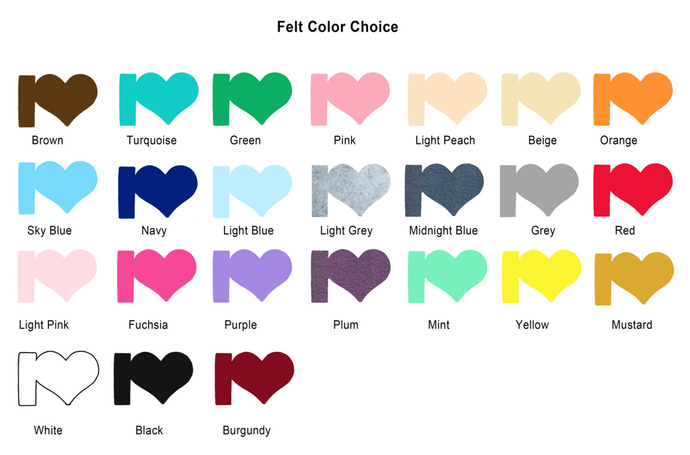 *Please refer to 'Felt Color Choice' for the dragonfly color you need, and tell me clearly. 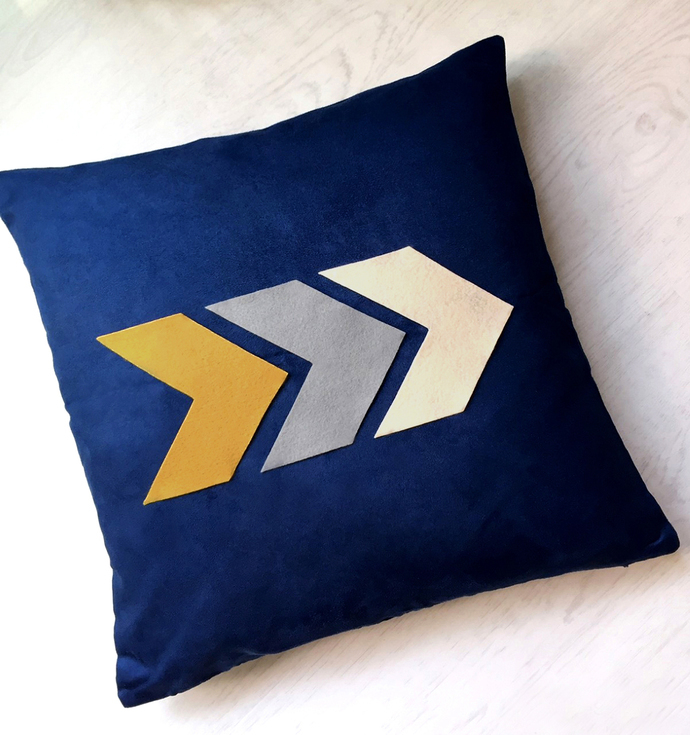 *Navy base (Last picture), White, Grey, Soft Yellow and other base colors available.